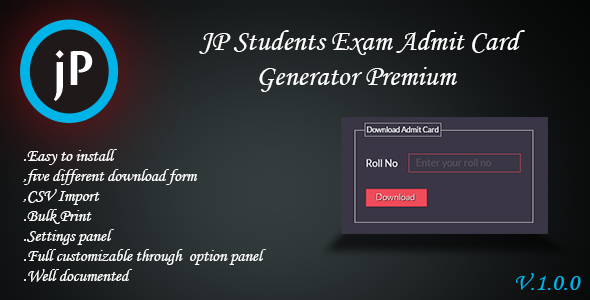 JP Students Exam Admit Card Generator Premium is a plugin which powered by WordPress.It has developed for managing students exam admit card in online.So, this plugin is suitable for educational site, such as school, college, university etc. 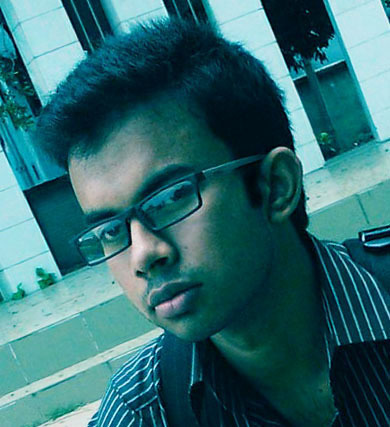 Exam admit card adding facility from CSV file. Multiple admit card adding facility from CSV file. Advance exam admit card download form. 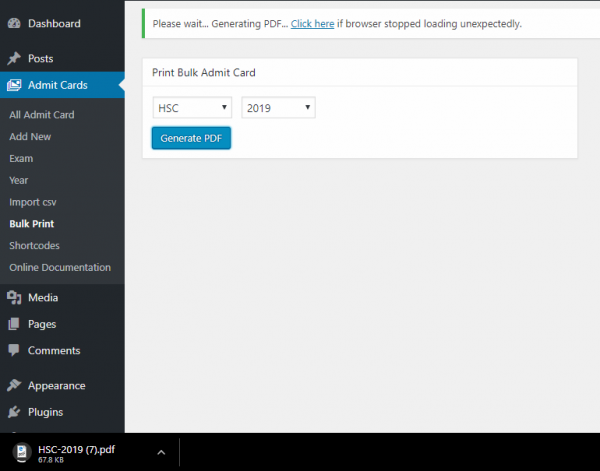 5 Different admit card download form. 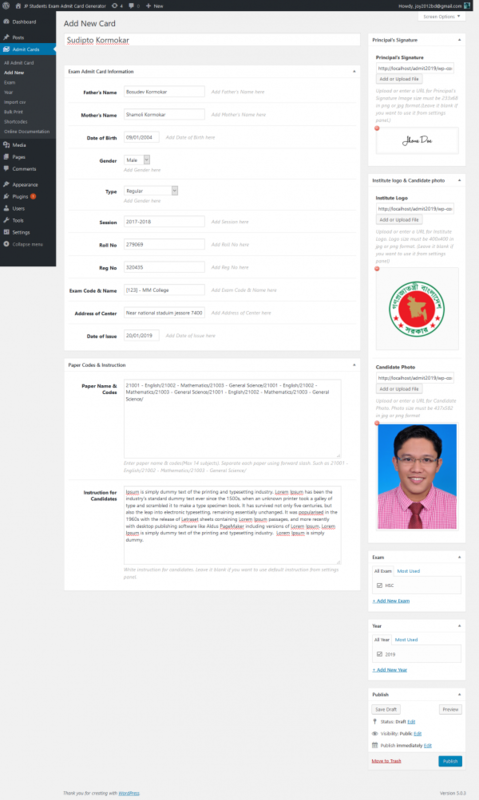 Full customizable admit card download form. 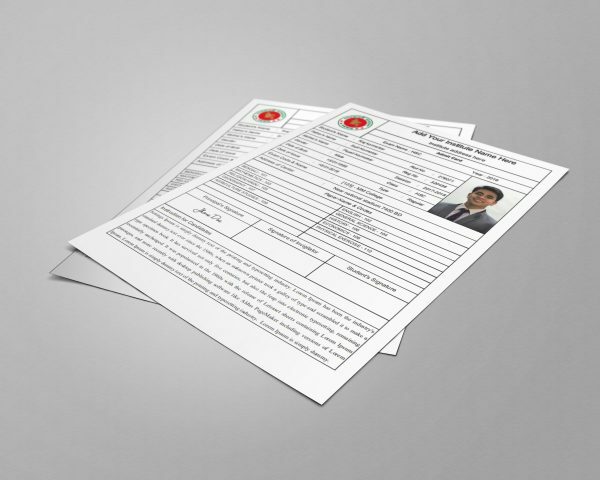 Exam admit card format is PDF(Paper size A4). Bulk admit card print facility. 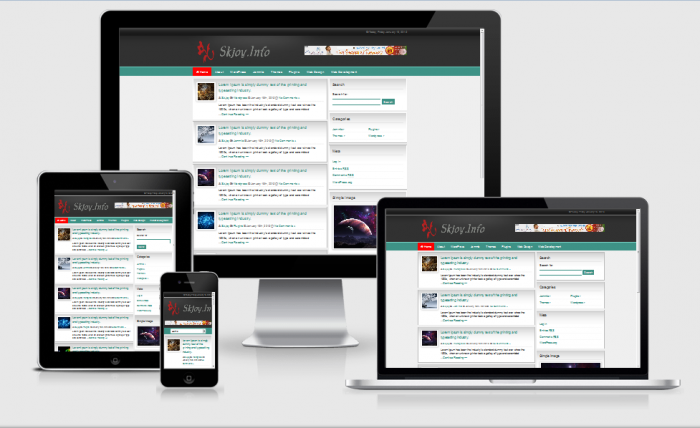 Settings panel & many more. 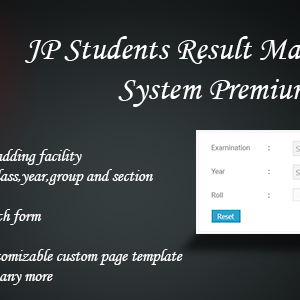 Using this plugin any educational institute can generate exam admit card for their students.It is very easy to use.Just enter students exam information.Then students can download their own card using Download Form.They just write their details in the download form.If information is valid then card will be generated & downloaded as pdf. If any institute wants to print their students exam admit card & provide them physically,they can do it very easily.This plugin has Bulk Print facility.You can print many cards as much as you want in one click. 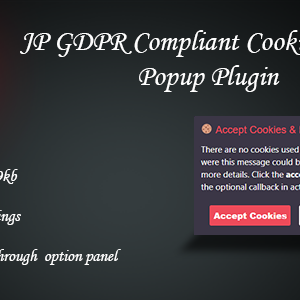 From admin panel entering student’s detail one by one is very time consuming task, Right?.This plugin has CSV Import feature.You can import thousand of students exam detail in just one click. 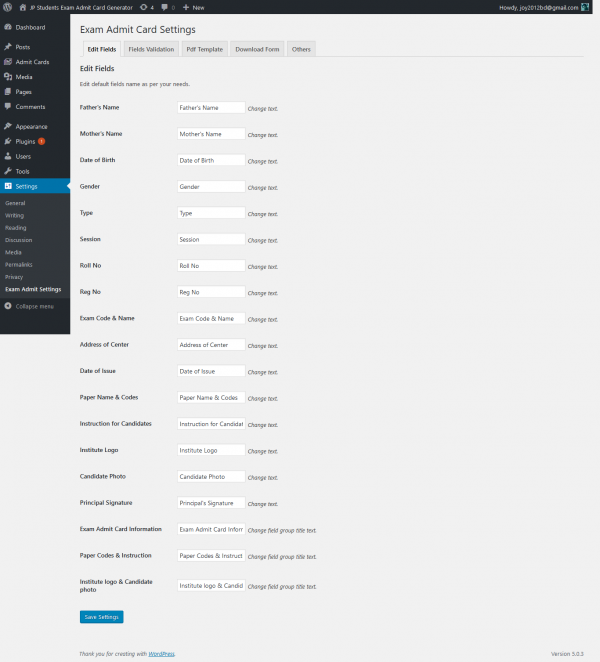 You can edit every column of PDF.Can change everything from Settings panel.